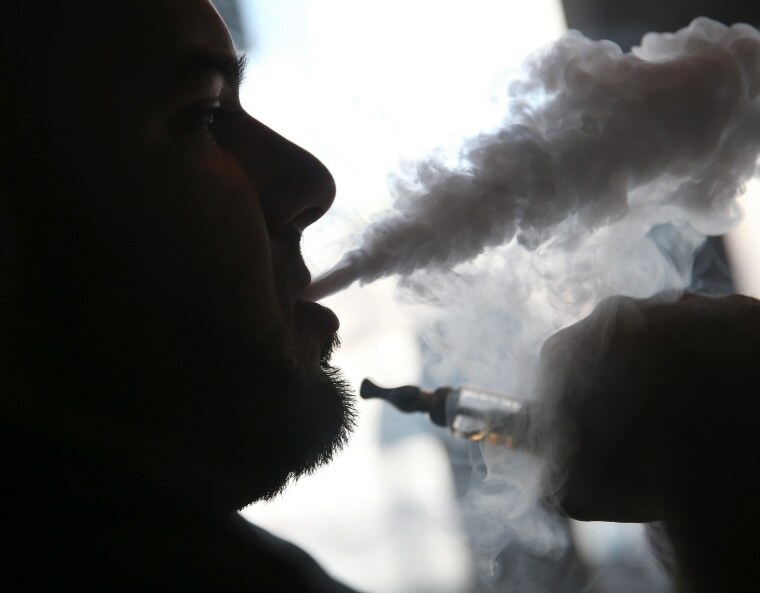 General Mills Inc., the Girl Scouts of the USA and Tootsie Roll Industries Inc. are among several companies that have sent cease-and-desist letters to makers of the liquid nicotine demanding they stop using the brands and may take further legal action if necessary. They want to make sure their brands aren't being used to sell an addictive drug or make it appealing to to children. The actions highlight the debate about the array of flavors available for the battery-powered devices that heat a liquid nicotine solution, creating vapor that users inhale. The Food and Drug Administration last month proposed regulating electronic cigarettes but didn't immediately ban on fruit or candy flavors, which are barred for use in regular cigarettes because of the worry that the flavors are used to appeal to children. It's growing pains for the industry that reached nearly $2 billion in sales last year in the face of looming regulation. E-cigarette users say the devices address both the addictive and behavioral aspects of smoking without the thousands of chemicals found in regular cigarettes. There are about 1,500 e-liquid makers in the U.S. and countless others abroad selling vials of nicotine from traditional tobacco to cherry cola on the Internet and in retail stores, often featuring photos of the popular treats. Using the brand name like Thin Mint or Fireball conjures up a very specific flavor in buyers' minds, in a way that just "mint chocolate" or "cinnamon" doesn't. "Using the Thin Mint name — which is synonymous with Girl Scouts and everything we do to enrich the lives of girls — to market e-cigarettes to youth is deceitful and shameless," Girl Scouts spokeswoman Kelly Parisi said in a statement. The issue of illegally using well-known brands on e-cigarette products isn't new for some. For a couple of years, cigarette makers R.J. Reynolds Tobacco and Philip Morris USA have fought legal battles with websites selling e-cigarette liquid capitalizing on their Camel and Marlboro brand names and imagery. The companies have since released their own e-cigarettes but without using their top-selling brand names. Williams said his company is renaming many of its liquids to names that won't be associated with well-known brands. Some companies demanded NicVape stop using brand names such as Junior Mints on their liquid nicotine. In other cases, the company is taking proactive steps to removing imagery and names like gummy bear that could be appealing to children.